Calling all event innovators! On the 24th October we're hosting the Hire Space Awards. We want to recognise the team who have put on an event that really connected with its audience with our Event Award for Best Engagement. This award is for an outstanding event hosted in the last 12 months, that has truly captured the imagination of audiences and created a high level of engagement. We’re looking for events with high levels of social media and press coverage before, during and after. High demand and registration numbers are a great sign of keen audience engagement with your event as well as engagement across social media channels. At Hire Space, we’re committed to helping shape the events and venue community and The Hire Space Awards will bring together some of the best venues and event services. As well as mingling with the events industry’s finest, you can look forward to an evening of fine food and drink topped off by comedy from Hugh Dennis! 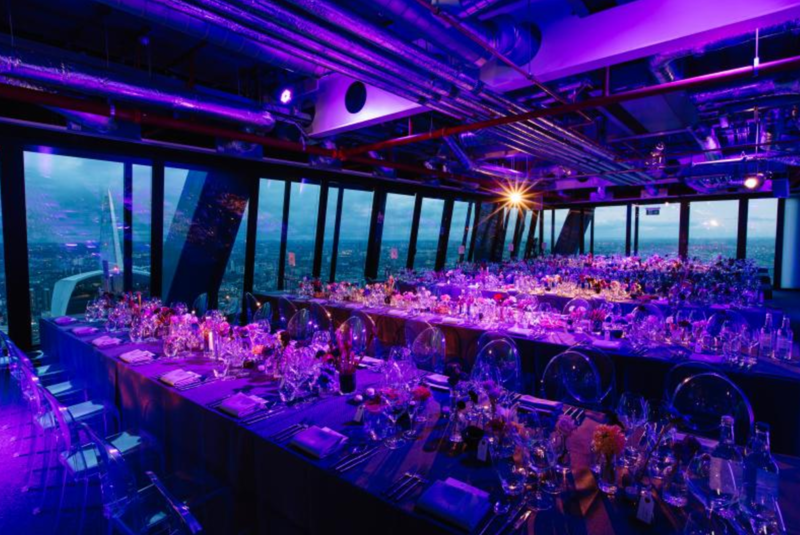 Of course, it wouldn’t be a Hire Space event without an incredible venue; we’ve lined up Landing Forty Two in the Leadenhall building. This space offers breathtaking panoramic views of the city from 225 metres up. The application process is simple, all you have to do is to fill out a [short application form] by the 30th of August. It’s going to be a phenomenal night. We look forward to seeing you there.